Your personalised message of 50 characters runs around the body of box. 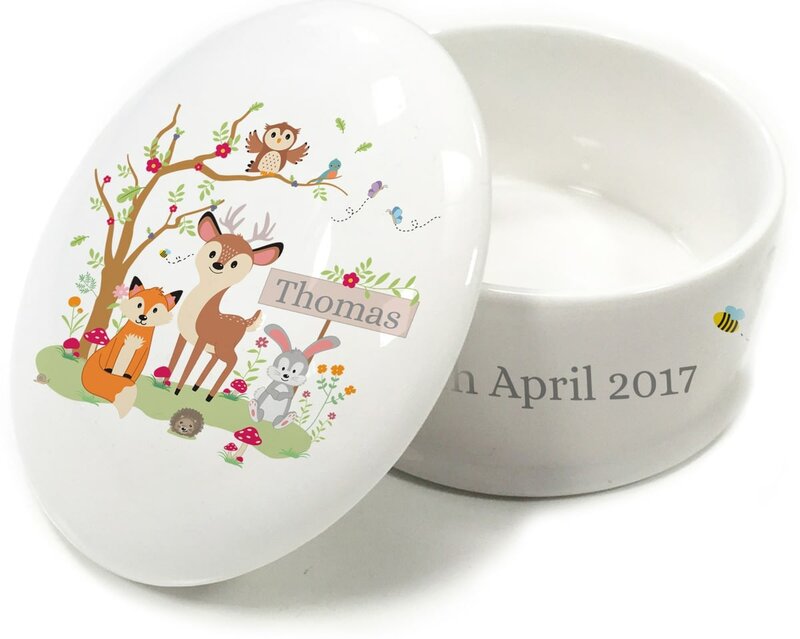 It would make a fabulous gift for a little ones christening or 1st birthday, and is a wonderful memento of the big day that will look superb displayed in any home. Kiln fired, this bespoke trinket box is dishwasher safe. The lid features a cute elephant design and the recipients initial. The lid features a sweet giraffe design with the recipient's name of up to 15 characters.